There just seems to be something extra special about spending time with your dad. I know my kids love me and enjoy doing things with me, but when their dad does things with them it just seems to be a little different. I think some of it is I am home full time and dad works, but some is just the way a child bonds with their father. For my kids heading over to Chuck E. Cheese and playing games against dad is one of their favorite indoor activities. They are all super competitive so anytime they have the chance to try and beat dad they are all over it. Heck even when we visited for their birthday party they had to compete against dad in the ticket blaster to see who could catch and collect the most tickets. To no surprise to me dad ended up getting the special golden ticket and beat us all. 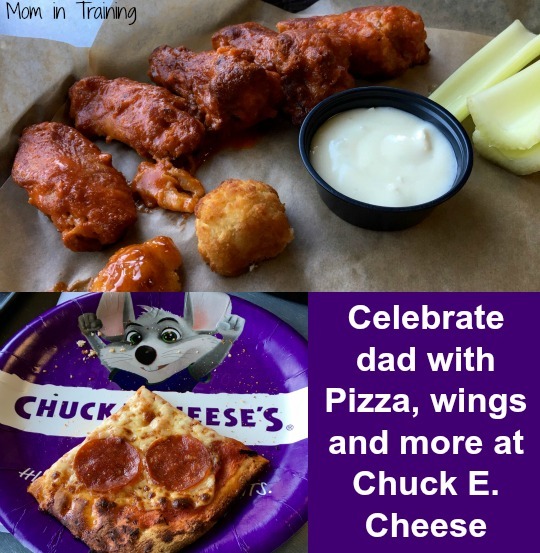 Just in time for Father's Day Chuck E. Cheese has some awesome fun planned for dad and the kids too! We actually got to try out some wings on our visit this past weekend and I have to say the boneless wings were AWESOME! Share your #DadHacks and win! 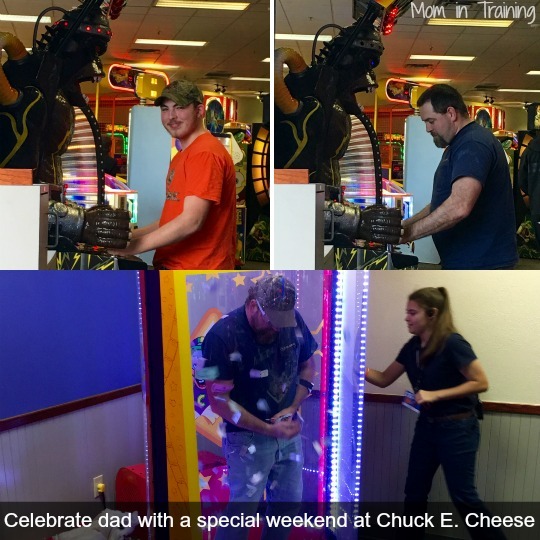 We've never been to Chuck e Cheese, but it looks fun! My kids love going to Chuck E Cheese. We have a tradition that the kids celebrate the big 5 at Chuck E Cheese. We love it there! So many fun games and cute prizes. That's nice that they thought of a way to make it fun for Dads on Father's Day, rather than just for the kids. have not been there in years, sounds fun though. We haven't been to Chuck E. Cheese's in many many years, but we need to visit again soon! It's been many years since I've been to Chuck E. Cheese. But I recall it's a great place for kids and families to eat and have fun! Chuck E. Cheese is a fun place! We'll have to make a trip to there again soon. I haven't been to Chuck E Cheese in a long time. When did they start serving boneless wings?! Yum!